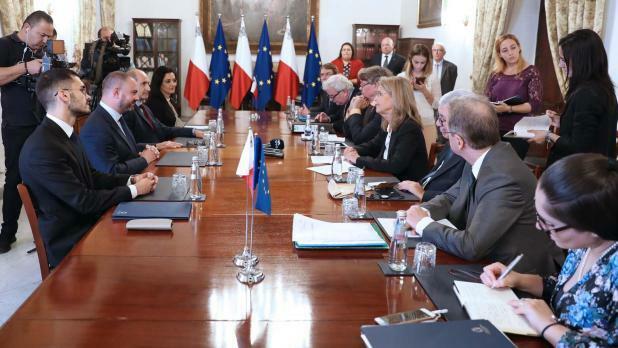 A series of meetings with the government, the Opposition and civil society were “useful” to the Venice Commission’s work, a spokesman told the Times of Malta. Venice Commission representatives were in Malta earlier this week and held meetings with the President, Deputy Prime Minister Chris Fearne, Justice Minister Owen Bonnici, the Chief Justice, the Police Commissioner, the Judge’s Association, the Attorney General’s office, the Ombudsman, the Opposition and NGOs. The Venice Commission is an advisory body of the Council of Europe, composed of independent experts in constitutional law. The government said in a statement the meeting with the delegation was “positive” but did not elaborate. Contacted about the meetings, a spokesman for the Venice Commission said he could not comment on what had been discussed. However, he did say that all the meetings, including those with the authorities, the Opposition and the NGOs, were useful. The spokesman said the meetings served to obtain “a better understanding of the challenges facing the country and the position of all stakeholders”. This newspaper reported last month that the Parliamentary Assembly of the Council of Europe’s Legal Affairs Committee had called on the advisory body to look into the state of Malta’s structures in light of recent concerns voiced by MEPS. After the Legal Affairs Committee’s request, the government asked the Venice Commission to look into the country’s structures and give advice. The Venice Commission is expected to give an opinion in December.